Ontario Air Duct Cleaning You Can Trust! 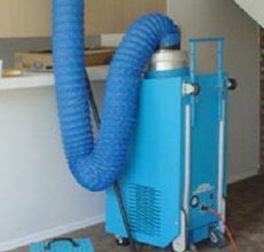 From Riverside and Ontario to Corona and San Bernardino, Enterprise Restoration Services has been offering the best air duct cleaning services for over 30 years. We have gained much knowledge and experience in this industry and understand the importance of this service. If air ducts are not properly cleaned, they can negatively impact your health. Uncleaned air ducts can easily be more hazardous than the outdoor air if not managed properly. In a typical six room home, up to 40 pounds of dust accumulates annually through everyday living. These contaminants such as air pollutants, dander, dust, chemicals, dead skin cells, etc. Your heating and cooling system acts as the lungs of your home inhaling and exhaling, and recirculates all these pollutants at least 5-7 times per day. Over time the re-circulation builds up in the duct work and can cause not only system problems but also very serious health issues, especially for people with respiratory health issues and environmental allergies. Over the past two decades scientists have been examining the indoor air environment of our homes, and have found your home environment to be more hazardous to our health than the outdoor air. Statistics show that 1 out of 5 Americans suffer from allergies caused by substances found in the home. Deaths related to asthma have risen 40% in the last two decades as well. Most standard disposable filters remove only about 10% of the everyday pollutants allowing 90% to enter the air system, even in a new home there are pollutants from construction. If these pollutants are not taken care of properly they will circulate back into the air or even possibly become a food source for bacteria and mold. If you want to ensure your health will not be negatively impacted by your uncleaned air ducts, call ERS today! The dirty air that is re-circulating through your system will also cause a substantially higher energy bill. A system that is heavily contaminated will have to run much longer to cool or heat the occupied space, which will result in a high bill. A well operating system after initial cleaning should remain clean for 3-4 years with proper home maintenance and a high arrestance filter installed. 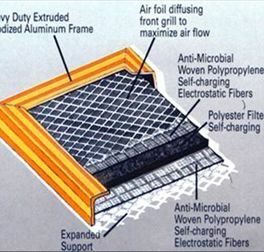 As stated above, a standard disposable filter only stops roughly 10% of pollution allowing 90% to continue to re-circulate. 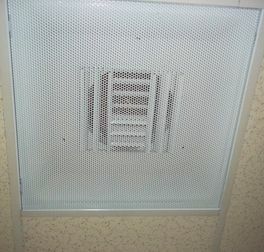 All vent covers and registers with supply and return ducts will be cleaned and sanitized (sporiciden EPA-approved). 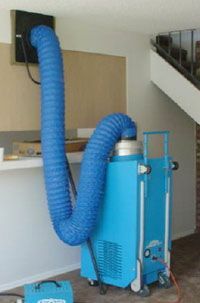 Decontamination machines with negative airflow for pollen, dirt, mold and bacteria will be used. Machines have one pre-filter, one electrostatic filter and one HEPA filter, all to prevent contaminated items from being in the ambient indoor air. All decontamination machines are updated every three years by a top air duct equipment company in the U.S.
What are the benefits of an Electrostatic Filter? A rotating brush on a 35-foot cable and a 50-foot cable will run through each duct to help remove dirt, mold, pollen and bacteria. This step is taken while the negative air machine is running. All plenums will be sanitized and vacuumed. Vacuums used for cleaning are fitted with HEPA filtration to help prevent cross contamination of the ambient air. Drop cloths will be used near vents and work areas. 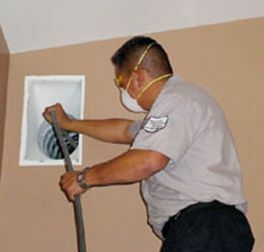 All techs have no less than five years of training in air quality control and air duct cleaning. Chemicals and detergents with sanitizers used are EPA-approved and are standard for the cleaning industry. A heating and cooling system acts as the lungs of your home inhaling and exhaling, and recirculates all these pollutants at least 5-7 times per day. Most standard disposable filters remove only about 10% of the everyday pollutants allowing 90% to enter the air system, even in a new home there are pollutants from construction. 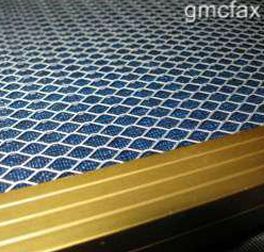 What makes Electrostatic Filters better? 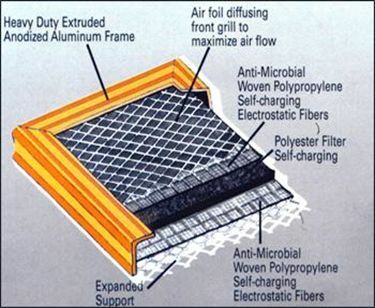 Electrostatic air filters clean the air by using static electricity; a safe and naturally occurring process. It is designed to provide the highest arrestance available by filtering 94% of airborne pollen and allergens. An electrostatic charge is generated by air flowing through a maze of static prone fibers. Airborne particles are attracted and held by the static charge until released by washing. The filter is constructed of heavy duty anodized aluminum, diffusing front grill to maximize air flow, woven self-charging electrostatic fibers, and expanded support for longer lifetime. 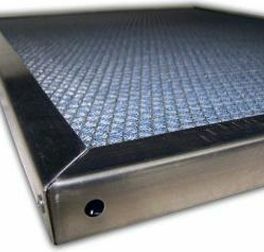 Electrostatic Filter Cleaning - Quick and Easy! Simply remove the air filter. Rinse thoroughly to remove remaining dirt. Drain excess water, let air dry, and reinstall. Review us Let us know how we're doing! 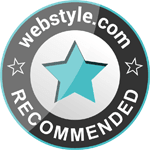 Click at the Button to review us!